Acne occurs when the sebaceous glands secrete too much oil. Normally the oil flows from the glands to the skin’s surface, but if the dead skin cells accumulate, they can clog the pores. The skin reflects our internal health. Acne is sometimes an indicator of toxic conditions. Too much waste product in the kidneys, liver, lungs, intestine or digestive problems can all give cause for breakouts. Allergies, high fat diet, emotional problems, pollution…these are all causes. Most cases of acne will disappear by themselves at the end of adolescence, but if acne persists or becomes severe, it should be treated more aggressively to prevent scarring. The Western medical paradigm for treating acne is only geared towards treating the bacterial overgrowth on the skin. This approach does not address the root cause of the acne, which is often due to a combination of reasons. As a teenager and even into my 20’s, acne was a constant fight for me. I was given both topical and oral antibiotics such as tetracycline and erythromycin and Retin-A gel (tretinoin) applied to the face. This would dry my skin out, leaving it patchy and uneven. The antibiotics would leave a bad taste in my mouth and give me even worse digestion. What we have come to realize, from a natural perspective, is that by changing the chemistry within our body that is causing the problem, acne can be brought under control. If you combine some simple lifestyle changes with a consistent regimen, you will create a beautiful complexion, naturally for the rest of your life without being dependent on Western drugs. The “Cross Training” Support Program ® was developed by Andrew Pacholyk, MS, L.Ac as a multi-layered health system for healing. This great resource is for those looking for a sensible and easy-to-use guide to the best researched alternative therapies. Developed and referenced from the foremost experts on nutrition, herbs, acupuncture, exercise, homeopathy, touch therapies and the metaphysical arts, this program allows one to use an “across the board” method for healing. The following maladies are all situations that can benefit from a “cross training” of therapies and support. 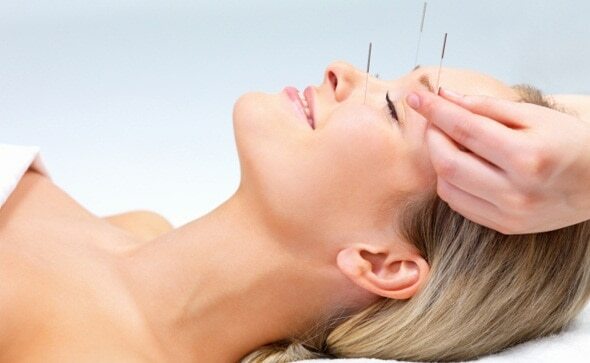 From acupuncture, herbs, exercises and nutrition to such treatments as homeopathy, massage and lifestyle changes are combinations of therapies that have shown to help in many situations. These “Complementary Therapies” are the ‘cross training program’ of Alternative Medicine and a great place to start on your healing journey. *Disclaimer: This information is not intended to be a substitute for professional medical advice. You should not use this information to diagnose or treat a health problem or disease without consulting with a qualified healthcare provider. Please consult your healthcare provider with any questions or concerns you may have regarding your condition. The information provided is for educational purposes only and is not intended as diagnosis, treatment, or prescription of any kind. The decision to use, or not to use, any information is the sole responsibility of the reader. Statements contained herein have not been evaluated by the Food and Drug Administration. These products are not intended to diagnose, treat and cure or prevent disease. Natural hormonal changes for both men and women are some of the primary causes of acne. Changes usually begin at puberty and end in early adulthood. Increased testosterone, which males experience at the beginning of puberty causes the sebaceous (oil) glands to enlarge and produce increased amounts of sebum (oil and waxes), which pass through the hair follicles to the skin. When the pores clog, acne occurs. Women, however, often get a mild case of acne beginning a week before their menstrual period begins, even in adulthood. Birth control pills can also cause acne. Cosmetics and pore-clogging products can also trigger breakouts. Sudden appearance of acne in adulthood may be a sign of hormonal imbalance or drug toxicity (usually from steroids). Autoimmune disorders, trauma, anxiety and post-traumatic stress have also been shown to be root causes. Clean the skin regularly with soap and water. Add a splash of natural toner to your skin to close the pores. You can create your own. (See Herbal Remedies, below). Acne that grows into large groups can form sebaceous cysts, carbuncles or furuncles. Boils can be large and inflamed and can be a sign of a staphylococcus or (staph) infection. Weak immune function, diabetes mellitus, poor nutrition and the use of immunosuppresive drugs are some causes. Boils are often an infection that starts at the hair follicle, inflammation occurs and then spreads. 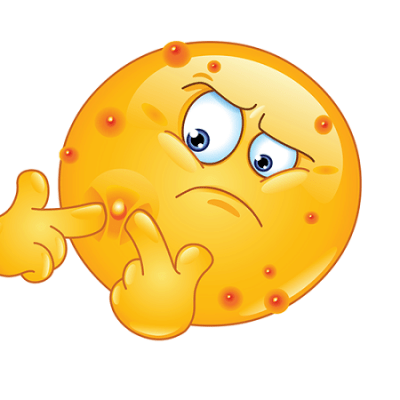 The bacteria in the pus reacts the same as acne in that it is contagious to the surrounding skin. Boils are usually treated by lancing the boil to get the pus core out and oral antibiotics are given to get rid of the infection. Staph infection is contagious, can contaminate new skin, causing new boils or enter the bloodstream and spread to other body parts. Without treatment, a boil usually comes to head, opens and drains in 10-25 days. This is something that should be watched carefully. If nausea, vomiting, fever or infection grows, these are signs that these pus and blood filled boils are not acne, but a bacterial infection. Severe cases require, blood test and a doctor to prescribe antibiotic, draining the incision and proper dressing of the wound. Clean the wound. This is important to prevent infection and to decrease the chance of permanent discoloration, or scarring. Wash the area with soap and water Your own saliva contains many enzymes, which kill bacteria. Use it to clean the area if soap/water are not available. The object is to dilute the bacteria in the wound. Disinfection is necessary, pour 3 percent hydrogen peroxide into the wound, let it foam up, repeat, and pat dry with a clean piece of gauze or cotton. Yunnan Paiyao is an excellent Chinese herbal powder, which helps to stop bleeding, close the wound, regenerates skin tissue and decreases scarring. Allergic reactions to particular foods, cosmetics, or other products applied to your face, such as sunscreens can all play into your acne. Do the eliminate diet. See the Allergy Elimination Diet. Start with a cleansing diet to help your system detoxify. Impurities that cannot be eliminated fast enough through the kidneys and bowels, may erupt through the skin. Make sure you eat a low-fat, high-fiber diet. 1. Wash your skin both morning and night. 2. Use an herbal toner to close pores. 3. Moisturize your skin in the morning..
4. Protect your skin with sun screen daily. 5. Moisturize your room to hydrate skin. 6. Use a damp tea bag on blemishes. 9. If you smoke, quit now. 10. Know your skin type and how to treat it. *All cosmetics should be water based, do not use oil-based products. *Picking or scratching may cause scarring. *Keep hands clean and avoid touching the face. *Keep the affected area as free from oil as possible. Between washes, blot away oily skin with a tissue. *Long-term treatment with Tetracycline and other antibiotics should be avoided. *Begin taking supplements that promote healthy skin. *Clean your skin twice daily, morning and evening. This will keep the pores open and your skin free of bacteria. Discourage new blemishes by using tea tree oil, a natural antiseptic. Excess cleansing and scrubbing can actually increase oil production. 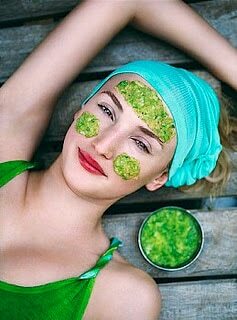 Herbs should be used both topically, on the surface of the skin and internally, to treat the root cause of acne. Basil (Ocimum basilicum) has been shown to kill bacteria on the skin surface. Apply this tincture directly to the skin surface on a compress. This works to kill the bacteria that forms blackhead and whiteheads. It is also possible to steep two to three teaspoons of dried basil in a cup of boiling water. Allow the herb to steep 5-10 minutes or more in order to extract the healing oils from the plant. Then soak a washcloth or compress in the tea and apply to the areas where acne is most present. Burdock (Arctium lappa) is a tonic herbs and have been used in the treatment of skin conditions. Burdock is an herb that boosts immunity and purifies the blood. It’s a traditional liver tonic and a mild, natural diuretic. Burdock’s laxative and diuretic properties help remove toxins from the system. Chinese Medicine utilize it against tumors, inflammation, fungal and bacterial infections. It is often recommended for dry, scaly skin. You can take burdock in capsule form or make a acne fighting tea. Burdock root tincture may be taken as directed per day. 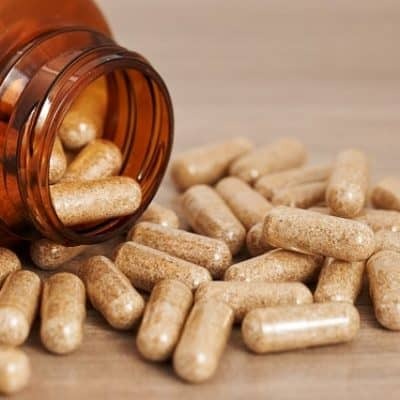 Dried root preparations in a capsule or tablet can be used at 1-2 grams three times per day. Calendula (Calendula officinalis) is a good herbal treatment for the skin, commonly known as Pot Marigold. (It is not a true marigold.) Calendula is a popular ornamental plant. The petals are edible and can be used fresh in salads . The oil is used as an anti-inflammatory, an anti-tumor agent and a remedy for healing wounds. Calendula in suspension or in tincture is used topically for treating acne, reducing inflammation, controlling bleeding and soothing irritated tissue. Try washing your skin with tea made from the flowers or taking the tincture orally. Dandelion (Taraxacum officinale) is a leading remedy for detoxing the liver. It stimulates the flow of bile, a fluid that assists fat digestion, which is why it’s used for liver and gallbladder disorders. Dandelion has scientifically documented potent diuretic properties. It relieves constipation and eases bloating and swelling. Dandelion should be used for 4 to 6 weeks at a time. For it’s liver benefits, dandelion is helpful for acne. Eat the petals in a salad. Take the extracted herb in a liquid tincture or take in pill form. Garlic (Allium) can be taken internally 2-3 times a day as well as massaging your acne with a raw garlic clove 2 times a day. Time this regime prior to the two times you wash your face. After massaging your acne with the garlic clove, allowing the juice to dry on the acne, then wash your face. Oregon Grape Root (Berberis aquifolium) has antibiotic properties and helps stimulate the immune system. It is used as a blood purifier for acne. Dermatologic Therapy published a clinical study in 2010. Oregon grape root was specifically mentioned for acne, because of the anti-microbial, anti-inflammatory, and liver-protecting chemicals contained in the herb. Red Clover (Trifolium pratense) is an herb suggested for chronic conditions affecting the skin. It is a diuretic, but it’s unknown exactly how it works for skin conditions. Use non-fermented red clover which is safe. Red clover contains a substance called Genistein, which has anti-cancer properties. Red clover can be eaten in salads or as a addition to honey, which helps to enhance its flavor. Red clover can also be found in tea form, in capsules and as a tincture. Yellow Dock (Rumex crispus) is another herb that purifies the blood. It has compounds called anthraquinone glycosides that stimulate bile production, aiding digestion and cleansing the liver. Some herbalists believe that chronic skin problems like acne improve with long-term use of yellow dock. Caution: Don’t take yellow dock if you have kidney stones. Herbal tinctures are concentrated liquid extracts of the medicinal properties of herbs. Shake the tincture bottle well. As a dietary supplement, place 1 to 3 droppers full ~ approximately 1 tablespoon or 40 drops, under the tongue, or in juice or water as needed, 2-3 times a day. Acne Support – Burdock, Black Walnut, Chaparral, Blessed Thistle, Red Clover. Blood Purifier – Pau D’ Arco, Red Clover, Yellow Dock, Burdock, Sarsaparilla, Dandelion, Cascara Sagada & Buckthorn. Triphala is a traditional Ayurvedic Indian herbal compound used for constipation and poor bowel tone and is designed to support the body’s natural cleansing process. It is one of Ayurveda’s most important herbal formulas for thousands of years. Triphala is a balanced blend of three Indian Herbal Fruits: Harada (haritaki), Amla (amalaki) and Behada (bibhitaki). Each balanced to vatta, pitta and kapha respectively. In a stainless steel pot, boil desired amount of water. The moment it boils turn the heat off. 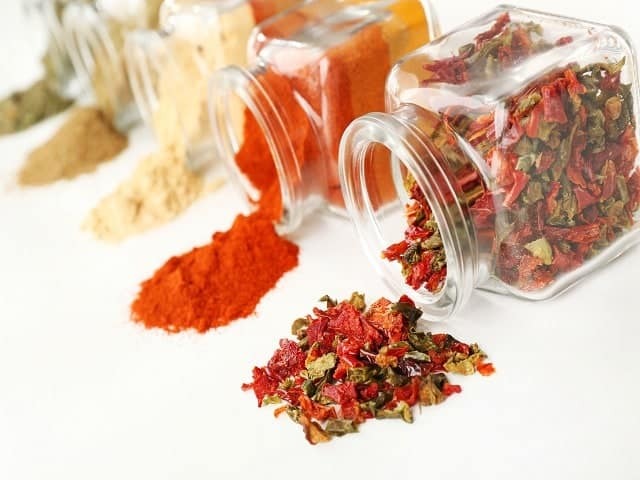 Add the following herbs in an infuser, muslin bag or tea ball for a single cup or add one-three teaspoons of herbs per cup for larger amounts. Allow the herbs to infuse for up to 5 minutes. Drink 3-4 cups a day. For flavor-add lemon and sweeten with Stevia or organic honey. These herbs are helpful for gently cleanses, purifying, detoxing, anti-inflammatory. This powerful formula will help remove accumulated toxins in the body. Strong antioxidant, cleanses the colon and stimulates circulation. D-Tox Tea – Rosehips, Red Clover, Ginger, Nettle, Alfalfa, Dandelion, Goldenseal Leaf, Echinacea, Pan D’Arco, Burdock, Clove, Stevia. Essiac Tea -Burdock Root, Sheep Sorrel, Slippery Elm Bark, Turkey Rhubarb Root. Mint has excellent antibacterial qualities. Honey can also be used as an acne treatment. 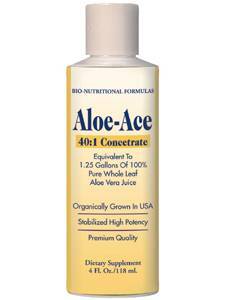 Aloe Vera and Cucumber are two other excellent natural healers that work well on acne. Together, we are going to make a cool, minty fresh mask to treat acne. In a bowl, peel one cucumber and grate it. This extracts the juice. Cut a one inch piece of aloe leaf and peel off the green skin. Add this to the bowl. Add a few fresh mint leaves and a teaspoon of honey. Now, crush all ingredients in the bowl. Apply the paste on your acne affected skin. Mint cools down your skin, controls oil secretion and prevents acne. Aloe soothes inflammation and so does honey. Mint also treats bacterial growth along with cucumber juice. Allow the paste to stay on your skin for about 10-15 minutes. Then rinse off. Try this easy, DIY skin toner. Make a strong cup of chamomile tea. Allow the tea to cool. To a bottle, add 3/4 of the chamomile tea and 1/4 witch hazel. Wash your face and then splash on this natural toner or use a cotton ball. This closes your pours with out drying out your skin. For centuries natural clay has been used for drawing impurities and extra oils from the skin. Clay, rich in minerals and silica, helps to tone skin and preserve its natural balance. Clay is gently massaged onto the skin. As the clay dries, it tightens the skin, shrinks the pores and helps to pull out impurities like whiteheads and blackheads. Clay balances as it revitalizes. Different colored clays (white, red, green) serve different purposes and skin types. Not a DIY (do it yourself-er) Try our green clay for acne. 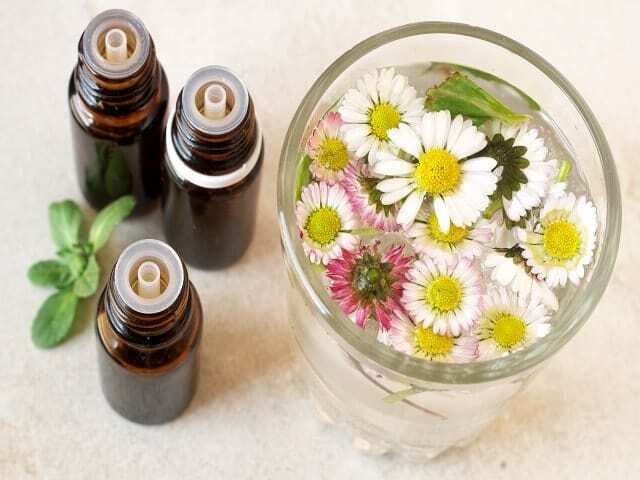 Essential oils recommended are the anti-inflammatory oils that are effective against acne such as basil, eucalyptus, patchouli, lavender, tea tree these oils can ease pain and discomfort and reduce swelling. Basil oil : (Ocimum basilicum) Basil essential oil kills bacteria when applied topically to the skin. Bacteria grows around the hair follicles and is a cause blackheads and whiteheads. Add 4-6 drops to 3 teaspoons of 70% alcohol. Massage into the hair follicles and skin of the affected area. Tea tree oil : (Melaleuca alternifolia) speeds the healing of minor cuts and scrapes. It is good for all kinds of infections, including athlete’s foot and fungal infections of the toenails and fingernails that are resistant to antibiotics. A large study compared the topical use of 5% tea tree oil to 5% benzoyl peroxide for common acne. Although the Tea Tree Essential Oil was slower and less potent in its action, it had far fewer side effects and was considered more effective overall. For topical treatment of acne, the oil may be used at a dilution of 15%. Eucalyptus oil : (Eucalyptus globus) helps to clear minor, non-cystic acne problems or skin blemishes by reducing the oiliness of the skin. Lavender oil : (Lavendula Latifolia) kills germs and stimulates new cell growth. Lavender can be used to treat oily skin and acne and prevents scarring and stretch marks and reputedly slows the development of wrinkles. Bring 2 quarts of water to a boil. Remove from heat. Try these variations: ~ Add a handful of fresh flowers such as lavender, calendula or rose petals. ~ Blend in 5 – 10 drops of geranium, lavender, lemongrass, patchouli or tea tree oil. Stir in ingredients and bring your face close enough to the water to feel the steam on your face. Drape a towel over your head to form a “tent”. This keeps the wonderful ingredients concentrated on your pores. Steam up to 5 minutes. 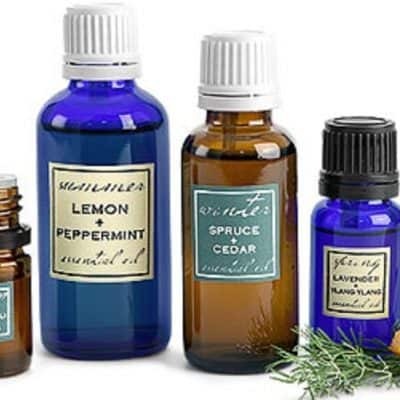 Use Andrew’s own Angel’s Mist Essential Oils and combine 12 drops tea tree oil, 5 drops cedarwood oil, 3 drops geranium oil, 7 drops of lavender oil to 1/4 ounce of a carrier oil such as jojoba. Put these oils in a dark glass bottle and close the lid. Turn the bottle over several times to mix the ingredients and every time before using this formula. Apply a small amount to a cotton ball and dab lightly on affected spots, twice a day. The mysterious and amazing healing power of water has been utilized for centuries. Water cleanses, refreshes and restores all life. We are always drawn to water. Be it a soothing fountain or majestic waterfall. Water is a carrier. It flows. It moves along the line of least resistance to find its way to the ocean where comes and goes in the ebb and flow of tides and waves. The appeal is inexplicable! We crave water, maybe because our bodies are made up of a large percent of it. Maybe because we instinctively know how it can heal us. Hydrotherapy is the use of water in any form, in the treatment of dis-ease. Steam treatments and hot baths have a cleansing effect on acne and oily skin. Instructions for a warm bath: Fill your bathtub with water slightly warmer than body temperature, around 97 degrees to 101 degrees F (You can check the temperature of the water with a regular thermometer.) As the tub fills with water add 2 spoons of Angel’s Mist Deep Soak Sea Salts to the bath water for a soothing, skin cleansing soak. Submerging as much of your body as possible, stay in the bath for at least 20 minutes, adding water as needed to maintain the temperature of the bath. Shower or bathe, morning and evening. When we sleep, our body accumulates toxins and dead skin cells, so when we wake in the morning, we are a virtual petri dish of the night’s processes the body goes through. In the evening, our body has gone through the day sweating, secreting, exercising, stressing and shedding. Our body’s skin surface becomes overloaded . Simply cleansing the skin with soap and water can deter the build-up of these acne causing antigens. So…..keeping the skin clean is imperative! Steam your face by boiling water first. Remove the pot from the stove. Add a few drops of any two of these essential oils such as geranium, lemongrass, patchouli, lavender, eucalyptus, sage and tea tree oil to the water and then with a towel, make a tent over your head and steam your face for up 5 minutes. Consider a relaxing bath with the cleansing anti-bacterial effects of Angel’s Mist Anti-Bacterial Soap -A cleansing blend of Lavender, Tea Tree essential oil makes this soap wonderful for creating clean and bacterial-free skin. There are two main causes of back acne. An increase in the oil production and irritated skin. When your glands produce more oil than they should, (often due to hormonal imbalances, poor diet or stress) then this overproduction of oil will clog the pores and prevent the dead skin and bacteria from sloughing off the skin. The bacteria breeds and acne breakouts occur. 1 squeeze of a lemon. Mix ingredients and add to hot, running water. Relax in the bath for 15-20 minutes. Rinse off, dry off, and clean your tube! Water should be a very important part of any nutritional program. 6-8 eight ounce glasses a day. Diet is not the major determinant of acne, but it is important to avoid high-fat, salty and fried foods including foods with iodine (found in shellfish and iodized salt). Avoid alcohol, butter, cream, caffeine, cheese, chocolate, eggs, fat, fish, meat, poultry, sugar and wheat. Do not use any dairy products for a month. Acne may develop due to an allergic reaction to dairy products. The fat content of the dairy products can worsen the condition. Add one dairy product at a time to see if the acne returns. See the Allergy Ellimination Diet. Avoid iodine-rich foods, such as liver, cheese, iodized salt, kelp products, clams, crabs and other shellfish as they have been associated with acne, and should be avoided. Iodine is also used in commercial breads and in processing milk. Consider switching to alternate products. If you use a lot of iodized salt, switch to balanced sea salt. Increase your intake of fruits and vegetables. Zinc studies indicate that zinc supplements reduce the severity of acne. In one study, zinc was found to be as effective as oral antibiotic therapy. Nutritional doctors sometimes suggest that people with acne take 30 mg of zinc two or three times per day for a few months, then 30 mg per day thereafter. It often takes twelve weeks before any improvement is seen. Zinc gluconate 30-80 mg daily, helps in healing tissue and helps to prevent scarring. Vitamin A such as 4,000 IU per day have been used successfully to treat severe acne. Too much Vitamin A can be toxic. Only use the recommended daily dose or Vitamin A from beta-carotene along with other mixed carotenoids. Vitamin A and 400 IU Vitamin E, (use emulsion for easier assimilation), strengthens the protective epithelial tissue. Vitamin B6 at 50 mg per day may alleviate premenstrual flare-ups of acne experienced by some women. Vitamin B complex (high potency) with extra B6 and pantothenic acid, take 50 mg 3 times a day, is important for healthy skin tone. Chromium (GTF) used as directed, aids in reducing infections of the skin. Lecithin one capsule before meals, needed for better absorption of the essential fatty acids. Primrose oil used as directed on the label, supplies the essential gamma-linoleic acids needed for healing. Unsaturated fatty acids one tbsp. cold-pressed sesame or flaxseed oil (linseed oil) or take in capsule form, needed to keep the skin smooth and soft, and to repair damaged cells. As a Nationally Certified Herbalist and Licensed practitioner of Acupuncture and Chinese Medicine, Andrew Pacholyk, MS, L.Ac. has spent years developing a natural healthcare plan, which incorporates the benefits of fresh, full spectrum foods based on their color and their properties. 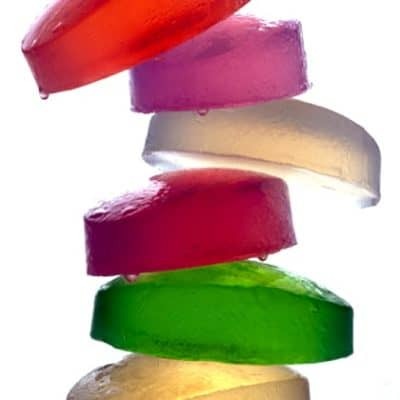 A balance of attractive colors in the foods you eat, play an instinctual part as to what the body needs in the moment. The color energy of fruits, vegetables, vitamins and minerals all come into play when furnishing your body with the proper nourishment. This easy to use system monitors healthy weight by the colors of food on your plate! The Full Spectrum Diet is based on the proponents of color therapy and the holistic principles of eating mindfully, eating to nourish the body and seeing food in a more natural and spiritual way. Meals rich with different colored fruits, vegetables, meat, chicken, fish and whole grains means you are getting a healthy variety of nutrients that your body needs. It is a simple way to eat healthy in order to achieve healthy results! Want to know more? This medical system uses infinitesimal doses of natural substances to stimulate a person’s immune system and body’s natural defenses. 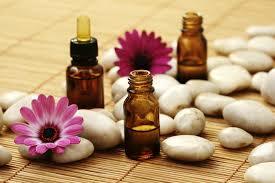 Homeopathic remedies are named for the plant or animal ingredients they are made from. Homeopathy not only offers relief from temporary disorders but, can provide long term healing of a person due to its individual and “holistic” approach. This type of healing makes it easier and possible to avoid recurrence or relapses in the future and homeopathy stimulates the body’s natural defense system by reestablishing normal immune system and cell functioning. Dr. Reckeweg Acne Homeopathic Liquid is homeopathic medicine for the relief of Acne symptoms, pimples and blackheads. This is a homeopathic combination formulated to treat acne from the inside out! Pulsatilla can be helpful if acne is worse from eating rich or fatty foods, and aggravated by warmth or heat. It is indicated especially around the time of puberty, or when acne breaks out near menstrual periods. The person often has a fair complexion and is inclined toward soft emotions and moodiness, feeling worse in warm or stuffy rooms and better in fresh air. Silicea can help a person with deep-seated acne along with a general low immune resistance, swollen lymph nodes, and a tendency toward fatigue and nervousness may benefit from this remedy. Infected spots are slow to come to a head, and also slow to resolve, so may result in scarring. A person who needs this remedy is generally very chilly, but inclined to sweat at night. Sulphur can help with itching, sore, inflamed eruptions with reddish or dirty-looking skin often indicate a need for Sulphur. Itching may be worse from scratching, and worse from any form of heatï¿½especially bathing or washing. Individuals who need this remedy are often inclined toward convoluted mental notions and tend to give order and neatness a low priority. Traditional Chinese Medicine (TCM) is the oldest, continually practiced, and professionally administered health care system in the world. It is a documented medical system spanning over 2,500 years based on comprehensive philosophies, rational theories, clinically tested and empirically verified by over 100 generations of highly educated practitioners. Chinese Medicine is a total system of internal medicine, which is comprised of a diagnostic procedure based on signs, symptoms and treatment styles including acupuncture, herbal medicine, exercise, diet and meditation. It’s foundation is based on the principles of balance; the interdependent relationship of Yin and Yang. Through this balance, health is achieved and maintained. Traditional Chinese Medicine classifies acne into three different types: 1). Wind-heat effect in the lung channel. Main signs & symptoms: Wind heat in the lungs can stimulate the skin and cause acne. There are red papules and tubercles with inflammatory infiltration around them, accompanied by a burning sensation, red tip of the tongue with thin and yellow fur and slippery rapid pulse. 2). Damp-heat in the spleen and stomach. Main signs & symptoms: Acne, indicative acne and cystic acne are mainly characterized by skin lesion, yellow and greasy fur coating on the tongue and soft and rapid pulse. Yunnan Paiyao is an excellent Chinese herbal powder, which helps to stop bleeding, close the wound and decreases scarring. This patent formula alone helps the flesh regenerate and prevents blood stasis and infections, which could lead to scarring. 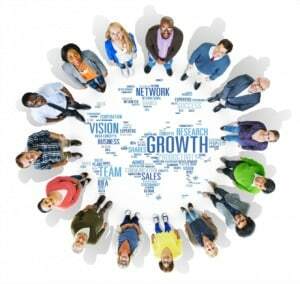 It can be used externally and taken internally as well! Excellent treatment for boils and staph infection. Acne Clear Skin Support is a TCM Remedy in an herbal formula, conveniently encapsulated for ease of use. The TCM Remedy line takes century old herbal formulas that have worked as teas and formulated them to provide balance and enhanced wellness where you need it most. This formula helps to clear heat and inflammation, strengthen your digestive process, reduce oil production and dry dampness. AcneCyst Powder is indicated for cystic acne that appears on the skin. For cysts which are sore, swollen, tender, visible or invisible. Ground selenite, tea tree, lavender essential oils. This unique product uses ground selenite crystal to absorb unwanted oil and excess sebum from the skin’s pores. Enhanced with Angel’s Mist essential oils for additional bacteria-fighting benefits! A systematic review of 43 trials in English and Chinese language studies found acupoint stimulation to be an effective, side effect-free treatment for acne. 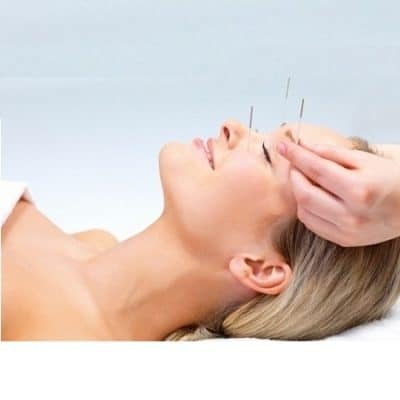 Some of the individual therapies, were even found to be significantly better than pharmaceutical medications at curing patients of their breakouts, says the research published in Medical Acupuncture. The needles are applied to points that send signals to strengthen (as in digestion or immunity), reduce (inflammation, known as heat) and move stagnant energy. Treatments with acupuncture work to make the whole body healthier, and in the process resolve the acne from the inside out. The findings also showed acupuncture was even more effective at increasing the number of cured patients when combined with herbal medicine. Acupressure is a great way to relieve congested areas, improves blood circulation, relax the muscles and increase metabolism. Use your index finger or thumb. Apply pressure slowly, gradually increasing, before you release. 1 or 2 minutes for each point. AcuPoint Stomach 2 (The Four Whites) Location: One finger width below the lower ridge of the eye socket in line with the center of the pupil in the indentation of the cheek. 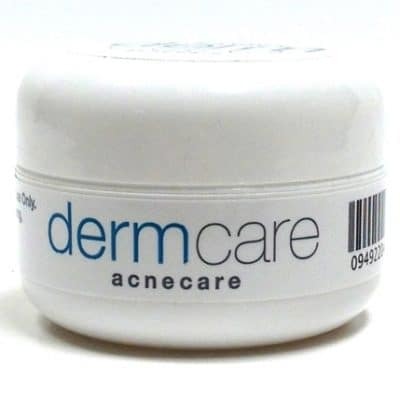 Benefits: acne and facial blemishes. AcuPoint Stomach 3 (Facial Beauty) Location: At the bottom of the cheekbone, directly below the pupil. Benefits: Relieves acne, facial blemishes, poor complexion, and sagging cheeks as it improves facial circulation. 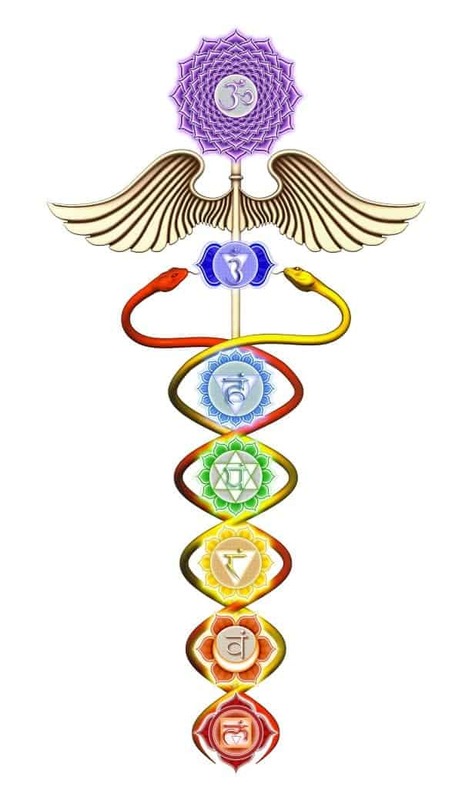 The principle medical system of India is known as Ayurveda and is over 5,000 years old. This “Science of Life” is considered the art of living in harmony with nature. Developed from the ancient text of The Vedas, Ayurveda views the human body as a “homunculus” of our cosmic Universe, regulated by the balance between three primordial humours, call Dosha. Your dosha are your Ayurveda mind and body type. There are three doshas in Ayurveda: Vata, Pitta, and Kapha. We each have all three of the doshas in our physiology, just in different proportions, so your dosha is unique and personal; it is like your fingerprint. An imbalance in Vata results in the accumulation of toxins and improper digestion. An imbalance of Pitta affects the blood and liver, increasing for inflammation. An imbalance of Kapha, which controls the production of sebum, clogging of the pores. This combination of accumulation of toxins, improper digestion, , inflammation, and the over production of sebum creates the perfect environment for the overgrowth of bacteria resulting in chronic acne. Geared toward the health and well-being of each individual dosha. Maintains healthy digestive acid levels and a healthy stomach lining while supporting a comfortable post-meal experience. Consider Vata Digestion, Pitta Digestion or Kapha Digestion formulas. Neem has traditionally been used to purify the blood, cleanse the liver and support the immune system. It is also commonly used to support healthy skin and to maintain healthy blood glucose levels. This very famous and popular herb is found whole, in powder, pills and oil. This combination of three fruits is one of the best bowel formulas in the world! Assists natural internal cleansing, Gently maintains regularity, nourishes and rejuvenates the tissues, supports healthy digestion and absorption and is a natural antioxidant. Neem (Azadirachta indica), is a tree. The bark, leaves and seeds are used to make medicine. The stem, root bark, and fruit are used as a tonic and astringent. The leaves are ground to make tea or apply directly to the skin as a poultice for healing skin disorders. Grind 10-15 neem leaves (or buy the powdered version) and mix with a pinch of turmeric powder. Add enough milk, almond milk or warm water to make a paste and apply this to your pimples. Allow to dry, about 15-20 minutes, then, wash off. Repeat as required. 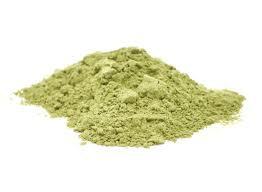 Not a DIY, try our Organic Neem Powder. Turmeric (Curcuma) is a plant and a staple in Indian cuisine and medicine. You probably know turmeric as the main spice in curry. Fennel Seed (Foeniculum vulgare) is a sweet, anise flavored digestive herb. Boil 5 cups of water in a covered saucepan and add 1/2 teaspoon each of turmeric and fennel seeds. Let this mixture steep for at least 10 minutes with the lid on. Strain out the seeds and pour liquid into teapot. Sip small amounts throughout the day and watch your skin begin to glow. As an assault on our confidence and self-esteem, acne can tip the scale of our emotions, that are (hormonally) already out of balance! Realize that acne is not your fault and that 80% of ALL people will experience acne at some time during their lives. Program thought to be positive and your energy will reflect it! Put your intention into taking care of your skin (and hormones) and results will follow! When your body is stressed, there is a hormone fluctuation that causes an increase in the amount of oil your skin secretes, which can cause acne to form or worsen. In addition to causing acne, these fluctuations can also affect weight, blood pressure, and other physical attributes. In the past decade, research has shown us just how much. In 2003, a Stanford University study published in the Archives of Dermatology found that college students had acne flare-ups during exams, a period in which they reported more stress, compared to periods without testing. Acne severity correlated highly with increasing stress, the researchers concluded. We know that cells that produce sebum (the oily substance that mixes with dead skin cells) have receptors for stress hormones. In a 2007 study of high school students in Singapore, researchers from Wake Forest University School of Medicine also found that acne worsened during exam times, compared to low-stress periods, such as summer break. The study was published in a Swedish medical journal, Acta Derm Venereol. These researchers hypothesized that the increase in acne might be due to higher levels of sebum produced during stressful times. Trauma, post-traumatic stress and anxiety trigger a response from the body. Feeling threatened in areas of your life? This “perception” puts your body into a “fight or flight” mode of danger causing your body to always be ready to defend itself, creating stress, anxiety or even panic. When this happens, our bodies no longer regulate in a normal capacity but at a higher sense of defense and awareness, causing a reactionary response ~ such as acne. The power of your mind and your belief system has everything to do with the condition, the speed and the way that you heal. * Our Belief System is one of the major factors that can get us through situations or can cause our life to crumble around us! I do believe that there is a lot of innate goodness and balancing our minds do subconsciously to get us through hard times. The other portion of this is how we “program” ourselves to deal with any given situation. * Our self-confidence and self-love are often the key to opening and strengthening this portion of our thoughts which in turn emanates from ourselves! * Energy follows thought. Program thought to be positive and your energy will reflect it! * Really appreciating what we DO have as opposed to what we would like to have, sometimes makes a significant difference. This is always an important element in healing that is often neglected. Silica has widespread industrial applications including use as a food additive, anti-caking agent, and as an excipient in drugs and vitamins. Chemically, silica is an oxide of silicon, (silicon dioxide) and is generally colorless to white and insoluble in water. When associated with metals or minerals the family of silicates is formed. 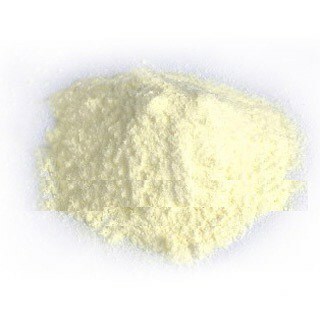 There are several water soluble forms of silica referred collectively to as silicic acid, Orthosilicic acid is the form predominantly absorbed by humans and found in numerous tissues, bone, tendons, aorta, liver and kidney. Compelling data suggest that silica is essential for health. Selenite has been used in the healing arena for centuries. This “highly vibrational” mineral has been used by the cosmetic industry for many years. It can assist with wrinkles, age spots, acne, itchy dry skin, eczema, psoriasis, shingles and more. It helps maintain skin elasticity and helps release toxins from the skin. Amethyst or amethyst powder is a mineral consisting chiefly of silicon dioxide. Amethyst has been used as a skincare product over centuries. Minerals in amethyst provide purification and detoxification functions. Lapis Lazuli and lapis powder was a favorite stone of the ancient Egyptians. Used to color fabrics and applied to beauty cosmetics. Lapis was used to strengthen and tonify the skin. 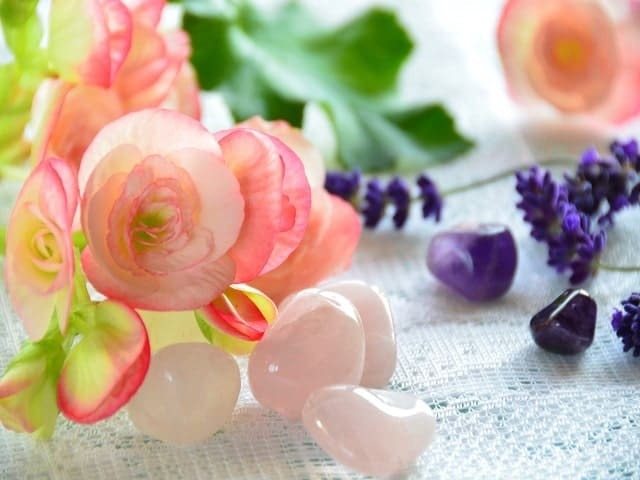 As a healing tool, crystals have been used for meditation, stress relief, massage and energy work. Crystals offer an additional way to balance energy, amplify both energy and thought, bring clarity in thinking, and harmony and alignment with our own energy systems. The Complete Chakra Kit stimulates the seven main energy sources which govern all the major organs and psychologically alters and clears the body’s energy in order to allow healing to take place. A great stress relieving meditation tool! Peacefulmind Remedy Bags are our fantastic prescription remedies for a multi-layered approach to treating specific disorders. These very special bags are a plan of care for treating problems such as arthritis, anxiety, stress or pain – just to name a few. These bags features 3 of the crystals for treating a disorder, a sample herbal remedy, a meditation, an essential oil blend and acu-point self-massage techniques. Also with great tips and remedies for recovery. Choose from over 80 disorders. Meditation won’t necessarily get rid of your acne, BUT, it will alleviate much of the angst and anxiety associated with it! Calming the mind and central nervous system have a direct affect on how our body “vibrates” and how we choose to handle stress as it comes at us. The more you meditate, the more able you become in handling difficult situations! ~ Use a crystal of your choice or one mentioned. Sit comfortable on the floor and hold your stone or lie down and place the crystal on your Third Eye or Solar Plexus. ~ Close your eyes. Take several deep breaths. Feel the crystal rise and fall as you slowly inhale/exhale. Allow your body to melt into the floor at each breath. Take this time to find your center. Let go of those things which hold you back. With each inhale, take in that which you deserve. With each exhale, release all that tension. ~ When you feel more calm and connected, slowly open your eyes. Give yourself some time to recover. You may even want to journal about your experience. *The Healing Art of Touch – Massage Therapy Homestudy Learn the art of touch and massage therapy through Andrew’s very extensive course. Complete anatomy lessons, varied techniques and amazing information is offered in this course. Also learn the business aspects of massage, how to cope with clients that are difficult and energy transference are just a few of the many topics covered! Want to know more? What are your experiences with acne?